Laura Prepon and a male friend were seen at Beauty & Essex last night for dinner. They arrived around 8:20pm. She was wearing a black and white V-neck sweater and he was wearing a T-shirt and jeans. 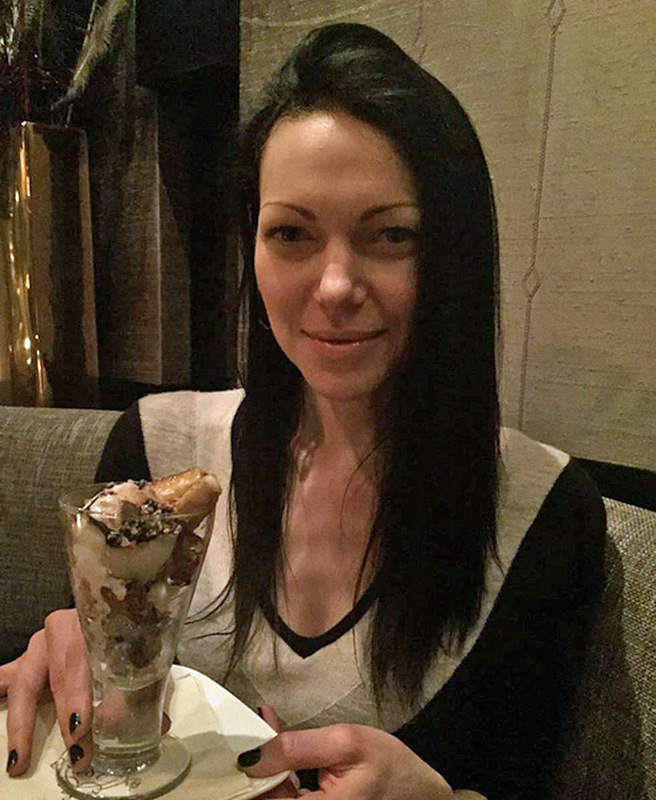 The two started their dinner with cocktails, Prepon enjoyed two Hendrick’s Gin & Selzter and a glass of Tajnaste wine. He enjoyed a Maker’s Manhattan. They also ate Beauty & Essex favorites such as the Orange Kissed Salmon Ceviche, Brussel Sprout s & Crispy Serrano Ham Jewels on Toast, Flash seared Tuna, Classic Thick Cut Filet, Orange Glazed Baby Carrots, and BBQ Fries – all Gluten free!